A phenomenal worldwide bestseller for over forty years, Richard Adams’ spellbinding classic Watership Down is one of the best-loved novels of all time, and resonates just as vividly today as it did nearly half a century ago. 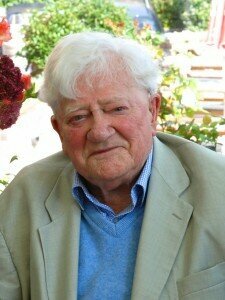 Richard Adams grew up in Berkshire and studied history at Worcester College, Oxford before and after the Second World War, in which he served in the First Airborne division. Watership Down is considered a modern classic, and recently appeared at number thirty-seven on the Sunday Times list of bestsellers in the last forty years. Richard Adams has written nineteen books, including Shardik and The Plague Dogs (forthcoming from Oneworld Modern Classics). He currently lives in Hampshire, England.